Let Us Make A Fair All-Cash Offer on Your Rancho Cucamonga House. We Buy Houses in Rancho Cucamonga CA and Other Parts of Southern California…in Any Condition and at Any Price. Are your saying “I need to sell my house fast in Rancho Cucamonga CA?” Then Check Out How Our Selling Process Works. We buy houses in Rancho Cucamonga CA and we’re ready and able to give you a fair offer for your house. We are a solutions-based company here in Southern California and we can help you get out from under your unwanted property. We buy houses in Rancho Cucamonga CA. Let us buy your California house now, regardless of its condition or the situation your may be facing. It doesn’t matter if you’re trying to avoid foreclosure, moving to another city, going through divorce or have a house that needs costly repairs. It doesn’t matter if you live in it, rent it out, it’s sitting vacant or if it’s not even habitable. It doesn’t matter to us what your situation is…we can help you find the best solution to your unique problem situation. Do You Need to Sell Your House Fast in Rancho Cucamonga CA? 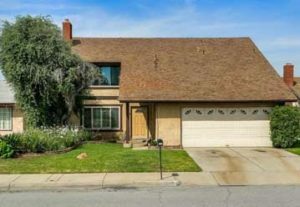 We buy houses in Rancho Cucamonga Ca like this one on Club House Dr. Get a fair cash offer today! We buy houses in Rancho Cucamonga CA. Now you can bypass the whole awkward process of having to show your house to an endless stream of buyers, parading through your home and your personal space. You will only have to show it to us once. And, we will close on your time frame, so you don’t have to wait and hope your house will sell. When we buy your house, you can rest assured that it is sold and you can move when it’s convenient for you. By-Pass the Hassle of Fixing and Listing Your Home. We Buy Houses in Rancho Cucamonga CA Fast for Cash. Selling a house begins before you even list it on the market. You must thoroughly clean, declutter and stage your house for showing. You must make any necessary repairs, so the property will pass inspection. And, you must find an agent that you trust and will deliver on selling your house quickly. Timeline: 30 to 60 days. After you agree on the price and terms of your purchase contract, you will then begin the escrow process. There are 3 major obstacles that can send you back to the negotiation table or derail your sale entirely: Home Inspection, Appraisal, Loan Approval. Timeline: 30 to 60 days. Home Inspection – Soon after you open escrow, the buyer will hire a professional home inspector who will spend 3 or more hours going through every nook and cranny of your house looking for problems. The appraiser works for the buyer so you know he will find problems, which will be listed in a long and very detailed report. The buyer will then come back to you and want you to repair those items, reduce your price or some combination of both. If the repairs are extensive, the buyer could cancel the deal completely. Loan Approval – During escrow, the buyer will have a certain amount of time to get loan approval (standard is 17 days), called the loan contingency period. Lender guidelines have become increasingly stricter and loan approval can be a long drawn out process, significantly extending your escrow period. If the buyer can’t get loan approval, the deal is dead, and you must start the whole process over again. We eliminate the need to Prepare your house. We buy houses in Rancho Cucamonga Ca As-Is which means you won’t have to clean or repair anything or waste time finding an agent. We buy houses in Rancho Cucamonga CA fast and we’d like to make you a fair cash offer and close when you’re ready! Timeframe: Once we get your info, we’re usually able to make you a fair all-cash offer within 24 hours. From there, we can close as quickly as 10 days… or on the day you choose (sometimes we can have a check in your hand the very same day!). No matter the condition of your house – your situation – or time frame…our goal is to make your life easier and help you get out from under that property that’s stressing you out… while still paying a fast, fair, and honest AS-IS price for your Rancho Cucamonga home. We help property owners just like you, in all kinds of situations. From divorce, foreclosure, death of a family member, burdensome rental property, and all kinds of other situations. We buy houses in Rancho Cucamonga CA and throughout the San Bernardino area. Sometimes, those who own property simply have lives that are too busy to take the time to do all of things that typically need to be done to prepare a house to sell on the market… if that describes you, just let us know about the property you’d like to be rid of so you can sell your house fast in Rancho Cucamonga CA. Rancho Cucamonga is an affluent city situated at the foothills of the San Gabriel Mountains in San Bernardino County, California. It is located 37 miles (60 km) east of Downtown Los Angeles. The city had a population of 165,269 in 2010 and an estimated population of 174,305 in 2014. The city experiences an average of 287 sunny days per year, compared to a national average of 205 days. Its climate is classified as warm Mediterranean, or Csa, under the Köppen climate classification system. The city’s seal, which centers on a cluster of grapes, alludes to the city’s agricultural history and intimate connections to wine-making. After a half century of political jockeying in the region, the land finally came under the control of Juan Bautista Alvarado, governor of Mexico. On March 3, 1839, Alvarado granted 13,000 acres of land in the area called “Cucamonga” to Tubercio Tapia, a first-generation Spanish native of Los Angeles, successful merchant, and notorious smuggler. Tapia went on to establish the first winery in California on his newly deeded land. Rancho Cucamonga was purchased by John Rains and his wife in 1858. The Rains family’s home, Casa de Rancho Cucamonga, was completed in 1860 and now appears on the National Register of Historic Places. During the ensuing years the town prospered and grew. In 1887, irrigation tunnels were dug into Cucamonga Canyon by Chinese laborers and the Santa Fe Railroad was extended through the area. Among the town’s economic mainstays was agriculture, including olives, peaches, citrus, and, most notably, vineyards. In 1913, the Pacific Electric Railway was extended through Rancho Cucamonga in an effort to improve crop transportation. Several landmarks in existence today pay tribute to the city’s multicultural founding. In particular, Our Lady of Mt. Carmel remains as a relic of the area’s Mexican agriculture laborers while the Chinatown House stands as a reminder of the Chinese immigrants who labored in constructing the area’s infrastructure. We buy houses in Rancho Cucamonga CA 91701, 91730, 91737, 91739 and all across Southern California. If you need to sell your house fast in Rancho Cucamonga CA, connect with us… we’d love to make you a fair no-obligation no-hassle offer. Take it or leave it. You’ve got nothing to lose.